Company Law includes commercial and contract laws which deal with the formation and running of a corporation or company. Under this law, companies are regarded as separate legal entities for carrying out commercial enterprises under the laws of the state they are incorporated within. Company law determines the nature of interaction between investors, shareholders, creditors, stakeholders, employees, directors, corporations and community or environment. It differs from country to country and Singapore has its own laws and regulations set in place to form a company. The different kinds of companies that can be incorporated are classified according to public or private status and on the basis and extent of members’ liabilities. The most common form of company in Singapore is limited liability company, in which the members’ liability is limited by shares or guarantee. In addition, there are also unlimited companies. Creation of a company becomes legal only when it is registered under the Companies Act as the initial step. This incorporation is the legal process by which a company becomes a legal entity, with a separate identity from its owners and with its own rights and obligations. To incorporate a Singapore company, one must lodge the requisite documents and pay a prescribed fee to the Accounting and Corporate Regulatory Authority of Singapore (ACRA). The M&AA will prescribe the name of the company, the amount of share capital and whether members’ liability is limited or unlimited. Such incorporated companies are referred to as ‘Singapore Registered Companies’ or ‘local companies’. 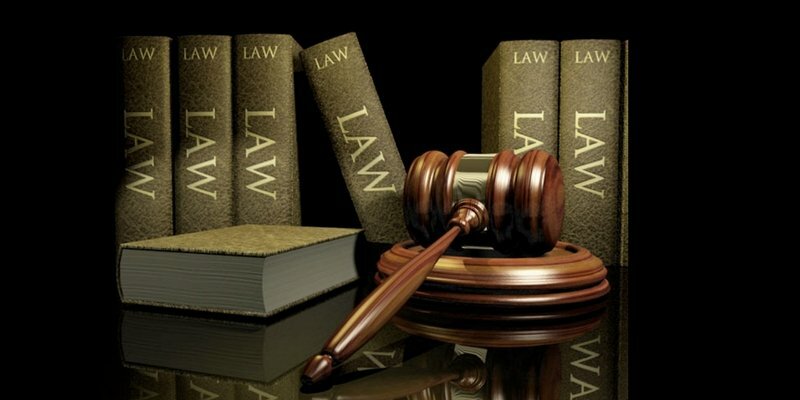 The powers, rights and capacities of a company are specified under the provision of Companies Act, its memorandum and articles, which cannot be contested. The company’s legal personality confer on it certain rights including rights to own properties, to sue or be sued, to retain its identity despite the change in membership, to enter into contracts with the members, directors or employees and others. It also has rights separate from the participants. Day to day management of the company lies with the board of directors and they ensure that the company complies with these laws, while guarding the shareholder’s interests. Shareholders’ and the members of a company have certain rights as granted by the Companies Act. Since a shareholder is not a member, they can neither exercise the rights of membership nor be subject to liabilities of a member. A person can become a member upon incorporation or subscribe to become a member. Members have rights to ensure that memorandum and articles of the company are observed, have access to company records and finances, can attend and vote at meetings, can circulate can call for general meetings, have right to be treated fairly and apply for relief, and can apply for derivate actions to redress wrongs against company. Importantly, the company’s assets are its own because of the company’s separate identity as a legal person. Hence, the company owns its own assets. Even then, shareholders have the right to sue the company when there is a breach or when unlawful activities are carried out by directors or management. A Singapore company which is not earning profits or is at a disadvantage may have to liquidate either by Striking off or Winding Up. Each one involves a different process. There are a number of procedures to be followed in the case of dissolution which can be either initiated voluntarily by owners or ordered by the court if the company becomes insolvent. An insolvent company is one that is unable to pay off its debts within a 12- month window or has liabilities. In this case, a creditor can appeal to the court to have the company wound up if it cannot repay or settle his/her debt. Other common reasons for dissolution include a company that has ceased its business activities, a breach of laws by employees, disputes among shareholders etc. Striking off is the relatively faster, easier and less costly procedure undertaken by small or dormant companies. The small/dormant company can cease to exist once its name is struck off the Register by application to the Company Registrar and if it meets certain requirements like incorporation under 18 months and before its AGM is due. A company cannot apply if it is insolvent, has liabilities or outstanding taxes etc. Winding up involves a formal procedure where a liquidator manages the process of releasing company assets, ceasing operations, payment of debts, distribution of surplus assets and is generally a very orderly procedure. Winding up can be voluntary or compulsory. This method involves a licensed insolvency practitioner (IP). This type of liquidation is initiated when a business no longer serves a purpose. It is also known as solvent liquidation. The company is required to pay all bills within a 12-month period and meet all its obligations. This is initiated by directors in the case of accusations against the failing company of illegal activities. There is no hope of recovery in this case and the company will be insolvent. Directors, in the instance of an insolvent liquidation, must act in the creditors’ and shareholders’ interests. A creditor can take legal action against a company in the form of a winding-up petition. This is in case of defaults in debt payments or too many liabilities on the company’s assets. All assets are sold to the benefit of creditors and the directors have to face a lawsuit in case of illegal or fraudulent activity. In both voluntary and forced liquidation, creditors have certain rights the chief of which is information on the affairs of the company. Secured creditors or preferential creditors, because of a hierarchy of payment, will be paid ahead of other creditor groups but unsecured creditors can also ask to be fully informed during the process and can have a say in proceedings. The rights for creditors generally include calling for creditors’ meeting, claiming interest on debt, making claims to goods belonging to creditor, and repayment following liquidation. The directors have certain responsibilities when a company is insolvent and is legally held responsible for ensuring the company pays all its outstanding debts. In case of insolvency, the directors’ first duty is to the creditors, to ensure that the liabilities are covered in their best interest. During the process, the director should refrain from wrongful or fraudulent trading to cover debts. Directors should also avoid paying some creditors and not others and keep from selling assets for a lower price than original market value. They should also sell assets only with the permission of a liquidator. Who owns control in case of dissolution? A liquidator takes over the control of an insolvent company so that the winding up process of dissolution is carried out properly. When liquidation is underway, directors and others lose control of the company. The liquidator also files any outstanding accounts and pays the liabilities to the company’s shareholders. Business structure and organisation can be quite complicated but with adequate knowledge and guidance, one can avoid failure. There are laws and regulations set in place to avoid mismanagement and the governance of a company is neatly divided among the various members with much of the responsibility falling to the directors. A clear understanding of Company Law is beneficial to running a successful company.